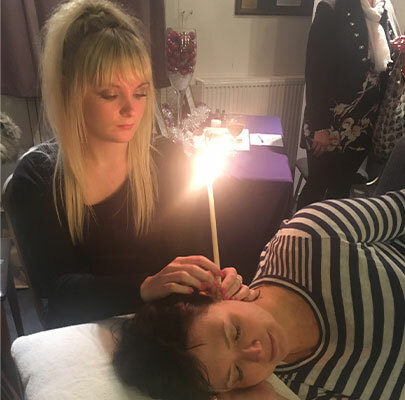 Ear Candling is a holistic and relaxing treatment for our ear canals. Their purpose is to clear our ear canals naturally. The candles are made of beeswax and unbleached cotton/linen. The candles are done one at a time and take approx. 10-12 minutes per candle to burn, the flame will burn to a red line. When the candle is lit, light grey smoke is going in a cycle - going down the candle in and around the ear canal, melting the wax away, and bringing up the wax into the filter that is stored at the bottom of the candle. You don't feel this happening, just simply feel your head warming up and hear a constant sizzling - which indicates that the smoke is breaking through some ear wax. The louder the sizzle, the larger amount of wax there is present. 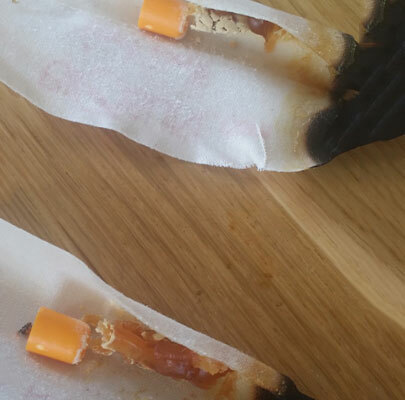 On your first try at the ear candles, it is normal to get a lot of wax out. Sometimes it can come out in little lumps - these are wax blockages. A course of 3 is strongly advised if you do achieve a lot of wax on your first go. The intensive course will help to clear out all the old wax that has been storing in your ear canals.